Christmas ornaments are always a great gift idea! Get one for your family and friends commemorating our area! 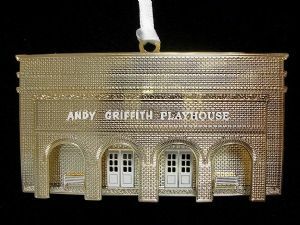 The Andy Griffith Playhouse is the seventh ornament in the Mount Airy Museum of Regional History's annual series. 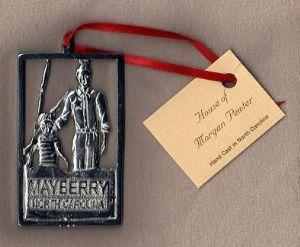 This Mayberry, North Carolina Ornament is hand cast by House of Morgan Pewter and features Andy and Opie "goin' fishin".